Showing results for tags 'Pirate Index'. Huitzilopochtli was the Aztec's god of war, sun, human sacrifice and the patron of the city of Tenochtitlan. It was vitally important to the Aztec people to keep him happy via offerings and human sacrifice. The stone disc on the top of the temple represents the sun. 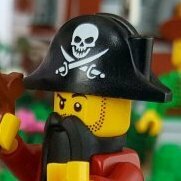 Hello, this year I wanted to shift from Castle to Pirates and I took back my whole collection of LEGO Pirates. I mixed with a friend, Captain Sweetness, and we gave birth to a large Pirate Diorama. My friend Giovanna, GioO took the pictures. Here you go: More pictures https://www.facebook...OPiratesItalia/ here Thanks!!!! 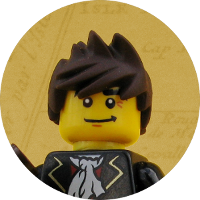 Hi, LEGo pirates fans. It took me much time to create it. And you can judge if it’s worth it. The size of the village is 48 by 48 studs, but I put the base plates so that you could see the mini figs better. The pirates came to pillage the islanders’ village. It’s so rich that you can see gold, silver and gems anywhere. And the pirates are carrying all that not only in ebony chests but also in baskets, bags etc. Lots of the islanders are weaponless but not defenseless because the sea dragon and the gold and bronze idols, the patrons of the village, won’t let the treasure away so easily. And the majority of the robbers and cutthroats are already being cooked on the rack (which is in the background not to over shock LEGO fans). Another classic horror things are 2 Iron Maidens (a skeleton is falling out of one of them) and The dragon is chewing a greedy pirate who didn’t drop his treasure bag even when the dragon caught him. Achu is sitting on the dragon’s back. Many of the mini figures became grey-haired instantly seeing all that horror. For example the pirate caught by a silver idol who became alive after the pirate tried to steal a huge sapphire from its crown. Some unlucky guys are pierced with the pale. Kahuka wearing his big bloody mask is watching the death feast from his high green throne. Can you see small flames under the rack? I'll try to add a couple of pictures from other angles later. Any C&C is welcome. Please support my 2 LEGO ideas projects if that's interesing for you. Pillage the Village is going on! You can see an idol in front of the first vigvam. It became alive and caught a pirot - no escape! There are some poisonous red snakes in the bushes. Greedy and unlucky pirates don't see them. The Golden Age of Piracy... Adventures and romance? No, piracy means blood, booze, violence, plunder, booze, murders, suffering, booze. Boatswain Bob was drinking away his loot. Together with one-eyed Tom from the Big Betty schooner they were finishing a case of rum. Tom found one case of rum to be not enough and decided to take the last bottle for himself. Bob, on the other hand, could not tolerate such impertinence and shot Tom in the face. Romance... You should keep your eyes open in the port’s alleys. One yawn and you will find yourself with a knife in your ribs. Welcome to the peaceful harbor of Puerto Secarico.... Puerto Secarico by Letranger Absurde, on Flickr ....well at least until the weekly pirate raid happens that is. That's when the real fun begins, including but not limited to cow tossing. Yes, cow tossing, a Scottish pirate favorite. Looks like I posted in the wrong place again. please move it. [PTV 2015 Digital] Sharknado? Sharknado! Market Day at St-Pedro Today, St_Pedro’s main square, which is typically so busy, is occupied by only an old man. There is not much activity either in St-Pedro’s streets. This is because today is market day. Captain Bentley caught a large slave ship on its way to St-Pedro and is selling its content in exchange of what he likes the most: gold. Governor Osvaldo Jose German Geraldo is today’s best client. Business is good today. But god knows what these slaves will find behind the doors of St-Pedro’s fort. More pictures are available on my Flickr. PTV 2015 Large: Repel Boarders! Here's my entry to the small category of the PTV contest. The pirates used the cliff as a convenient method of murder...On the ground below, spears served to impale any enemies thrown off the cliff.... Of course, occasionally a body might miss the spears... This was a fun build; it was interesting to try building with a size restriction (which I don't normally do). I've been slowly working on this build for over a month, and I'm quite satisfied with how it turned out, especially the cliff. The idea of the blood flowing into the water is something I've been wanting to do for a while (although it was a last-minute addition). I don't actually have any pirates sets, so making the minifigures was pretty tricky; I think they look reasonably decent, though. Enjoy! Hi guys, Here is my entry at PTV 2015 Large division. Judgement Day. Because after all, all this pillaging and stealing has a sure end! Historically only 5% got away with pirate life. So that leaves us with 95% hanged pirates. Even small children working at pirates sloops didn't make it. There is also one record with a hanged pirate that was caught after serving only a couple of days in a pirate ship. Talking about bad luck! I tried to include every pirate drama in this MOC. Anger (angry mob), Satisfaction (governor), Love (lieutenant with governor's daughter), Fear (pirates ready to be hanged), Hope or Revenge (pirates ready to storm the execution). Thanks for watching and wish you all luck. UPDATE! (gory version) It turned out that the bluecoats had it coming! The rioters were nothing but a bunch of fellow pirates! And of course they couldn't stand still while fellow pirates were about to be hanged... judgement day riot C by Spy Tha, on Flickr judgement day riot B by Spy Tha, on Flickr judgement day riot D by Spy Tha, on Flickr judgement day riot A by Spy Tha, on Flickr judgement day riot E by Spy Tha, on Flickr As always, good luck to all the participants! Here is my entry for PTV large category. Attack on the Port-de-Lumière by Nikola Đurić, on Flickr Every building has a decorated interior; these buildings are: barracks with a prison in the underground, judge's house, storehouse and a small house (where a rather peculiar chap lives) - check my flickr for more images of these interiors. https://www.flickr.c.../126640704@N05/ You can also spot Don Antonio whom you may remember from my Don Antonio's store. He came with his personal guards and his assistant to the port's storehouse to pick up some goods, but the sudden attack spoiled their plans, and now their lifes are in danger. (This first picture is for the polling image, but it is repeated as a part of the story below, where indicated.) Simian genocide by rodiziorobs, on Flickr The tale I am about to tell you is one of absolute horror, of completely unthinkable cruelty. "Is the trap set, Stevens?" "Aye, cap'n. 'Tis ready." "How long must we wait?" "Won' be long now, cap'n. 'N keep your voice down, don' want to scare the lit'l blighter off." "You are certain this is the last of them?" "Yes sir, quite certain. 'Been trackin' him for days. He's all that's left." Suddenly they saw the poor creature up ahead in the clearing. "Ok, keep quiet now, here he comes!" Stevens urged. The beast approached swiftly, yet with caution all the same; nothing was more suspicious than food left so easily in the open. At the same time, nothing was so readily accepted. He crept closer and closer still. Now the prize was almost within reach. "Shoot him, Stevens! Don't let him get away!" "Shhhh! Not yet!" The beast stopped. Had it heard something? Stevens wasn't sure, but he couldn't let this moment pass. He sprang from the underbrush, pistol in hand, the captain close behind. A single report rang out from the barrel, a single report to let him know he had hit his mark. (Same picture as polling image posted above) "Well done, Stevens." "Thank you, sir. It was my utmost pleasure." "Well now the real cruelty can begin. Gabby? Gabby!" Gabriel came up from behind, lugging a heavy cage through the tall grass. "Here, sir! I heard the shot and must say, I never thought me eyes would see this marvelously horrible day!" "Yes, that's enough now Gabby. The time has come!" "On yer word, sir." "Unleash the horrors!" "Aye, cap'n!" And with that, Gabby unlocked the cage and set free upon the world some of the most vile creatures imaginable, with the earth never more to see the sweet innocent race the captain had just wiped from its face. And that, children, is why you never get monkeys in your LEGO© sets anymore. ***************************************************** Both of these vignettes are part of my 16x16 entry, built together on the same plate: Simian genocide by rodiziorobs, on Flickr There is some overhang from the palm tree nearest the corner. Plenty more pictures on my Flickr album! Story: “Sir! She’s sprung a leak!” The first mate dashed into the pirate Captain’s cabin, flushed and out of breath. The Captain raised a scowling face. “Man the pumps then! You know what to do!” “This is no ordinary leak, sir. She’s going fast!” “Whad’ya mean, she’s goin’?” The Captain followed the words with a string of curses and then nearly bowled his mate over as he rushed topside. “All hands on deck! Man the pumps! Full force!” The next instant he was down in the hull with the mate beside him, pointing out the leak. The Captain’s face twisted in rage. “Who did that? That’s no leak. We’ve been scuttled! Who had the last watch?” The mate shifted uneasily. Water poured in, soaking both men’s boots, but neither seemed to notice. At last he muttered, “Billy was at the tiller.” “Billy?! That good for nothin’… Lazy – I’ll make him pay! Probably did it a purpose – wants us all ta drown!” The mate was about to reply, but instead he ejaculated, “Good heavens! We’re sinking!” The words ended in a kind of scream. For the water was now rushing furiously in, threatening to sweep both off their feet. “Shut your mouth!” the Captain spat, climbing topside again and ignoring his dripping garments. At that moment the ship tilted violently, sending both men along with several other pirates into the scuttles. Billy fell too, slamming into the Captain. “You! – You did this!” The Captain grabbed the unfortunate cabin boy by the neck. Billy shuddered, turning terrified eyes to the Captain’s ferocious look. “Well?! Answer me!” With sudden boldness the boy spoke up. “I did do it.” “Treason! Mutiny! You’ll pay for this!” “Of course he will,” the mate grumbled. “We’re all goin’ to the bottom!” “I’ll make sure Billy gets there first!” the Captain exclaimed, uttering a fearful oath. Another lurch of the ship freed Billy from the Captain’s grasp for a second and he scrambled to his feet, desperately climbing toward the prow which was now pointing to the sky. Cries and shouts resounded through the ship, which had now begun to sink in earnest. And yet for all their desperate plight, the pirates only quarreled and fought with each other, all eager to prolong their miserable lives by as many minutes as they could, even if it meant sending another to his death. The more reckless dove into the rum supply, determined to drown in drink for the last few minutes before they really drowned. Slowly the ship sank lower and lower, and now many of the pirates, forced to realize their plight, screamed in terror. Those who had sent so many to their deaths were unwilling to go themselves. Above deck the Captain pulled himself aft by main force, practically tearing the boards, almost foaming at the mouth in his impotent rage. Billy clung to the bowsprit, unsure whether to face the Captain’s fury or spring overboard at once. He shuddered as he looked down into the water, and, opening his clasp knife, resolved to defend himself. Ropes and bits of iron slid down the decks along with other miscellany. The Captain lost his hold – caught it again – and in desperation, pulled out his pistol. Billy shuddered and tried to shrink into as small a target as possible. The next instant a heavy sack smashed into the Captain’s legs and with a terrible cry he crashed headlong into the churning water. And now the ship had almost completely sunk, and Billy was left alone. A sudden silence – an eerie silence – succeeded the fearful shouts. Billy climbed farther up the bowsprit until he was perched as high atop it as possible. He had done it, and he thought his own life was a small price to pay for the blessing of ridding the sea of such a scourge. But other thoughts came to him in those moments that seemed like a life time as he straddled the rough timber, knife still in hand. After all, the quick, almost painless death to which he had sent his comrades seemed a poor repayment for their actions. They would have died, eventually, anyways – he had only hastened it by a year or two – and was that all? For all their villainy, for all their injustice, for having taken him, still a little child, and made him virtually their slave, dragging him through unspeakable horror? …hate surged through him, and he half cursed himself for taking such a poor and flavorless vengeance. Then he thought of the deeds he himself had taken pleasure in doing, and loathed himself as heartily as any of his companions. Was this all life had? Was there no real justice? The thought was intolerable to him. Far better to stand condemned, as he knew he would be, then to think that in the end, wrong would win. But perhaps… perhaps… could mercy be found? Even for him? The still, silent waters closed over the pirate ship, leaving no trace. ____________ Another overview of the MOC: I think this is the first pirate build I've done, and it was pretty enjoyable! On the spur of the moment I decided I wanted to do a ship sinking, so I ran with that idea! I purposefully made it so it could split in half for the farther sunken shot: Note that I used a non-LEGO light source - the sun. C&C are welcome! Thanks for taking the time to check the build out, especially if you read the story! The rays of the rising sun illuminated the dirty wall squeezing through the bars. Billy felt the salty flavour of the sea and listened to the distant squeaks of the seagulls in the port. There, for a second day now, the grinning head of the Fat Joe was swinging on the yard. He was lucky – he died in battle when their ship was taken in abordage. His brave shipmates, though, weren’t that lucky. Today, at dawn, they were going to be hanged at the approving clamour of the crowd. Bloodstained Bay was once a sea port, but pirate raids and the raging sea have reduced it to nothing more than a crumbling tower on a lone rock in the open ocean. It is here where Captain Bart takes his prisoners to have them walk the plank to their grisly deaths at the hands (tentacles?) of the Sanguinary Squid, a creature so foul and loathsome that it has stained the walls of Blood Tower with the gore of its untold victims. When a prisoner is reluctant to leap to his doom, Captain Bart often has to leap in and provide some "encouragement". As cabin boy Danny plunges from his perch, his only thought is turned toward the churning of the water below that can only signify that the monster has arrived. Will he be the first to escape the Squid's Reckoning? That question was actually rhetorical; he's definitely going to die.